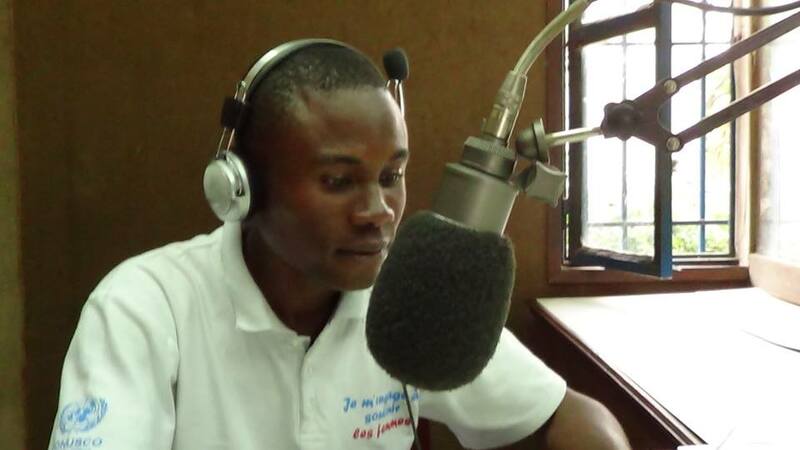 The Congolese city of Uvira, in the provice of South Kivu, celebrated United Nations Day 2015 in three stages. First, on Friday, October 23rd, at the Higher Institute of Medical Sciences and Technology (ISTM), where the Uvira United Nations family (UNHCR, OCHA and MONUSCO), brought together nearly 500 students from different higher education institutes within the City. Here there was a panel discussion on the contribution of the United Nations Stabilisation Mission in the Eastern Democratic Republic of the Congo. Earlier, UNHCR representatives (Mahamat Nour), OCHA (Luka Djedi) and MONUSCO (Ould Mohamed El Hacen) outlined the mandates of their organisations. 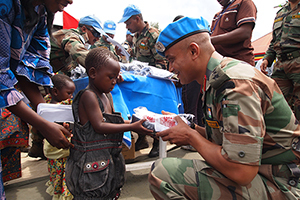 As for the panel discussion moderated by Mohamed Ould El Hacen, Head of MONUSCO’s Sub-Office in Uvira, it first gave a history of the UN Mission in the DRC from 1999 to the present day. The office’s representative then recalled the broad lines of his organisation’s successive mandates, taking care to note that these are voted by the UN Security Council, in close consultation with the Government of the DRC. Ould Mohamed El Hacen stressed progress in the DRC on all levels, with the support of the United Nations. As recognition of this partnership a “Club of Friends of the United Nations” will be set up within the ISTM in Uvira to continue the extension of the ideals and values of the world organisation. A competition on the United Nations closed the first day of the celebration of 70 years of the United Nations in Uvira with the highlight for many the giving of numerous gifts to students. Then a football match pitted the United Nations and Uvira journalists on Saturday October 24th at the Stadium of Uvira Unit before a large crowd, the final score being 2-2. 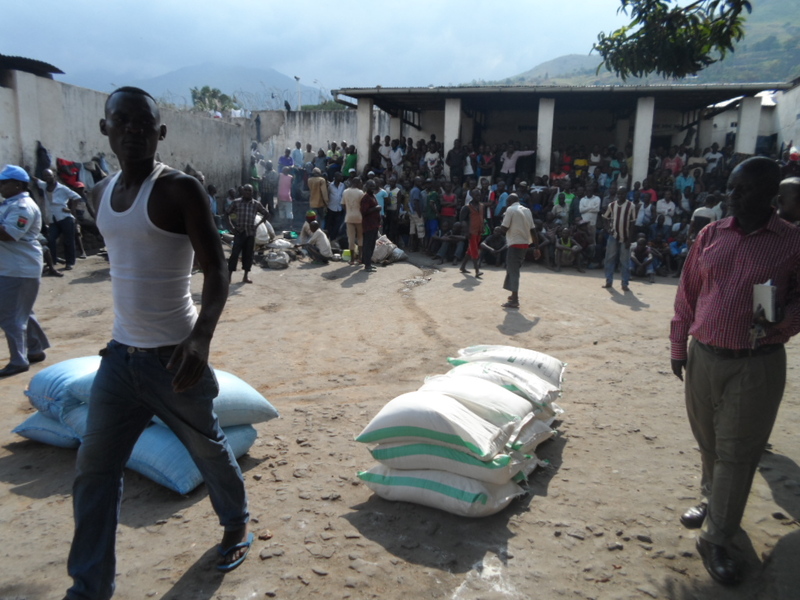 Finally, on Tuesday, October 27th, a food donation (bean bags and corn flour) was provided to inmates of the Central Prison of Uvira, as a large batch of school supplies (notebooks, briefcases, pens, chalk and backpacks) were donated to schoolchildren and students from five institutions in the village of Mutarule.